Holiday music is already playing in stores, flavors and spices of the season can be found at coffee shops, and the lists are already starting to grow! It's official. It's the holiday season. As in recent years, I have been asked for my opinion on technology related gifts for the holidays. Will the iPad Mini be the best stocking stuffer this year? What about the new iPhone, or Samsung, with the larger retina display screens? Certainly the size and the price of these technologies make it more likely that Santa could load up his sleigh with a lot more of these devices. Smaller sized technology with larger displays do seem like the blueprint that most of the tech companies are going with these days, but has the mobile solution truly replaced the computer? I guess it all depends on what you plan on using the tool for. We have to stop and ask ourselves, "What do we want to accomplish before we make decisions on what to purchase?" The days of buying a computer, and then finding out which software to purchase to get tasks done are behind us now. Instead, software companies, or apps., are making the choices for us. It's the same discussion we are having in education. Instead of discussing which tools to purchase or what to teach before getting to a problem or project, let's review the tools that could make these projects unique and best present student solutions, and offer a variety of ways that students can use the tools to accomplish the task at hand. For this reason, a move towards more open ended projects are increasing in our public schools. In a true project/problem-based learning environment, background information is given with mini-lessons or tutorials delivered both through online sources and/or face-to-face instruction before a project or problem is presented. Students then form groups, or work individually, and are asked to solve a real world problem and present their solution that best meets the needs and vision of their audience. Students therefore are given a list of standards that they must meet in order to accomplish their task. The Common Core Standards have now encouraged integration across the curriculum content strands as well as embedding both research and technology skills. Therefore, students must critically think about how they will match the best tools to the problem at hand in order to collaborate, create and communicate their solutions. Project/Problem-based learning environments use rubrics as their blueprints to evaluate an end product, however, the blueprint isn't as concrete as it used to be. Student generated presentations and projects no longer look identical, but rather carry their own unique perspective while portraying their outcome. The standards are addressed through the assessment tool which brings some consistency to the learning, even though it may look different at each stage of the learning for each student. Individualized learning at its best! So before you make out the lists, and have them checked twice, ask yourself and your child(ren), "What is it that you want to create with these tools?" You may just be surprised at what they would like to accomplish. It's exciting to see that many technology companies are now developing devices that allow learners to create and be unique rather then just consume or absorb information. Third party companies have also jumped on the band wagon and are offering solutions in the form of apps. to inspire learning that has never existed before. In my mind, 2013 is shaping up to be a great year for life long learners. I hope you all have a happy holiday. Eric Lawson has been teaching for 12 years. He has been published in eSchool News, Tech&Learning Magazine and ISTE’s Learning and Leading with Technology Magazine for technology integrated projects and ideas. He was named a member of the Maine Starting 6, and was inducted into the Unum’s Maine Teacher’s Hall of Fame in January 2012. He now finds himself working as the Admin Curriculum and Technology Integrator for the Rye School District back in his home state of New Hampshire. Interactive games and game show style games for interactive white boards. Storytelling to present math in a fresh, fun and exciting light. 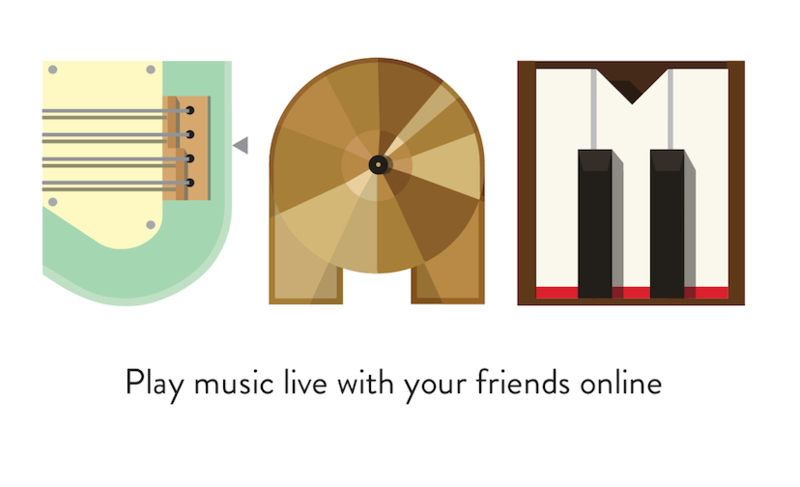 Play music live with your friends online. Project Noah is a tool to explore and document wildlife. Online games for learning new languages. Graphic organizers and templates to keep teachers and students on task. Digital Storytelling tool that includes timelines, Google Maps, images, videos and narration solutions. Templates and easy to use bibliography resources to help students cite their sources. 10 Different sites that allow students to map out their thoughts before creating, collaborating and publishing their thinking. Three great websites that offer free text to speech tools. Dipity is a free digital timeline website. Our mission is to organize the web's content by date and time. Users can create, share, embed and collaborate on interactive, visually engaging timelines that integrate video, audio, images, text, links, social media, location and timestamps.